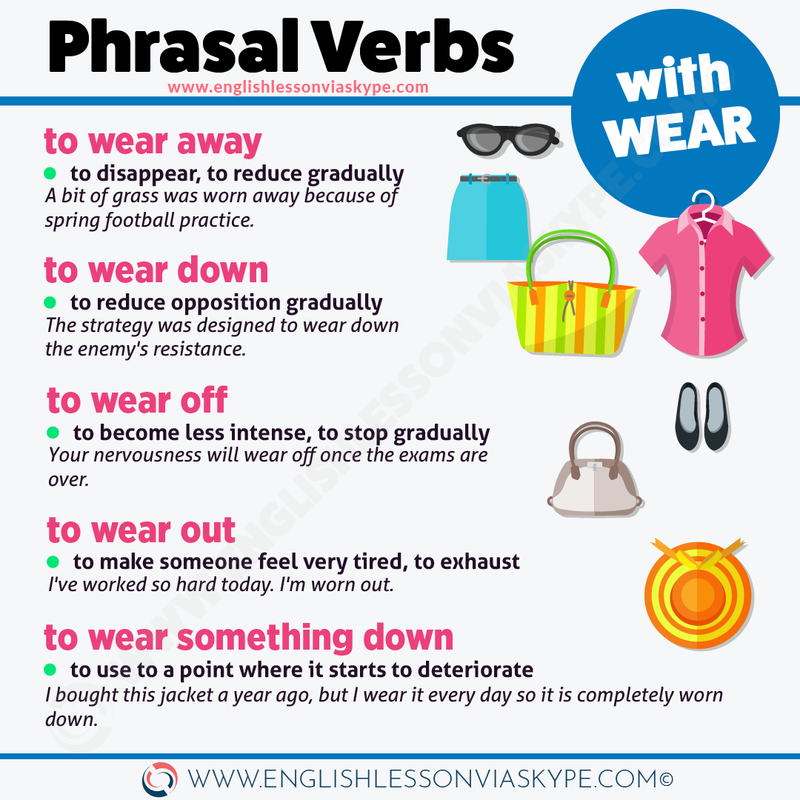 In this post you will find a list of English Phrasal Verbs with WEAR. 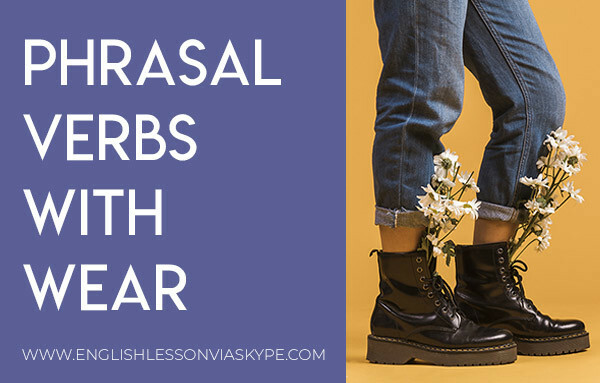 Whether you are learning English for fun or preparing for IELTS, FCE or TOEFL, you will need to know the meanings of these phrasal verbs. You should write down your own sentences for the ones you think you want to incorporate into your English vocabulary. 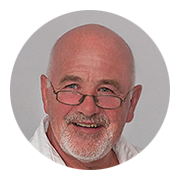 This exercise will help you improve English skills, both speaking and writing. ex. We couldn’t make out the names on the door because the letters had been completely worn away. A bit of grass was worn away because of spring football practice. ex. The “Iron Curtain” was an essential plank of the Cold War strategy to wear down the resistance of people. The strategy was designed to wear down the enemy’s resistance. ex. I bought this jacket a year ago, but I wear it every day so it is completely worn down. ex. Your nervousness will wear off once the exams are over. The effect of this drug should wear off in a couple of hours. ex. I’ve worked so hard today. I’m worn out. ex. We’ll have to replace this wire, it is completely worn out. ex. This carpet is made from special fibres and should stand a lot of wear and tear. Rental cars might not have a lot of miles or any obvious damage, but the engine is likely to have a lot of wear and tear. This material is very strong. It should stand a lot of wear and tear.